Inspiration reference was Reigns with minimalistic and simple style. Our gameplay is more comic, so we thought South Park style may fit our game better. And I started with creating different mockups. Usually, I never stop on just one option, this time I created a game design in 4 different styles. Doron liked a lot south park style. Shay liked the digital clean style. I liked pixel art and hand drawing styles. 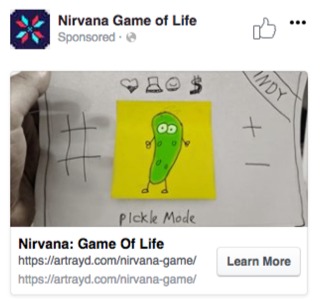 It was a bit hard choice.. We make the game for players, so we decided to let them choose by running real AB test on Facebook ads and checking which banner will get more clicks. We spent something about $15, reached about 3200 gamers and here are results. Advertising on Facebook is great way to figure out, not just what design to choose, but what’s your target audience, womens, males their ages and interests. Also this is a good way to check how much players are interested in playing your game. Thank you for reading, if you have any question and thoughts feel free to leave comment.